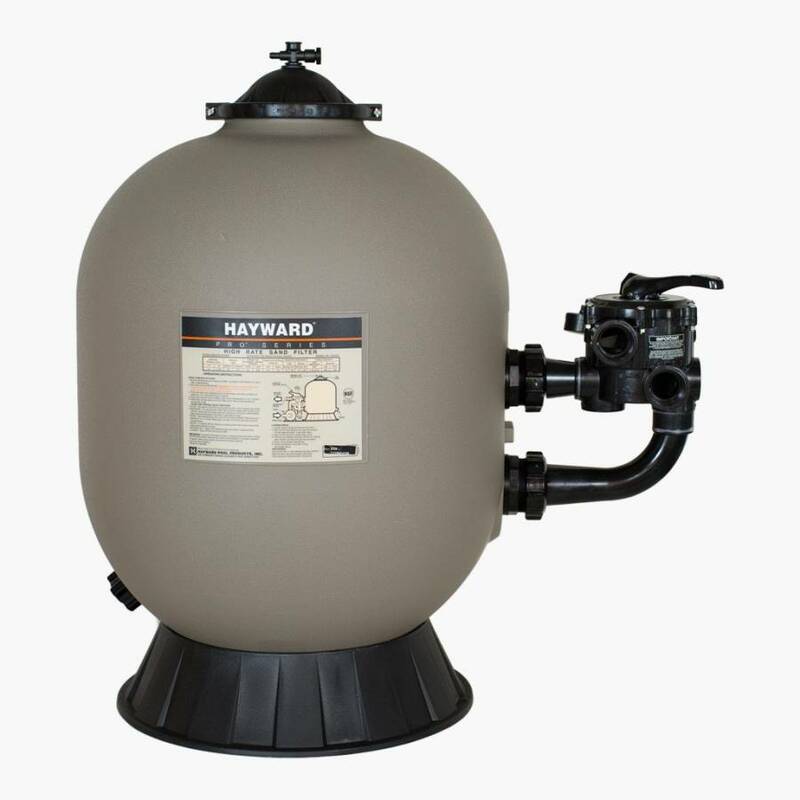 Hayward S310S Pro Series Sand Filter with Side Mount 6-position Hayward Vari-Flo control valve. Pro Series high-rate sand filters are the very latest in pool filter technology. Molded of durable, corrosion-proof polymeric material, they feature attractive unitized tank construction for years of trouble-free operation with only minimal care. Pro Series set a new standard for performance, value and dependability. This item is either too heavy or too large in volume to ship by any other method except by a common carrier truck line. Unlike UPS or FedEx, truck carriers will only deliver your order to your curb. Surcharges may apply if you live in a remote or inaccessible area. Click here to see more about truck deliveries. Click here for a S310 Owners Manual.